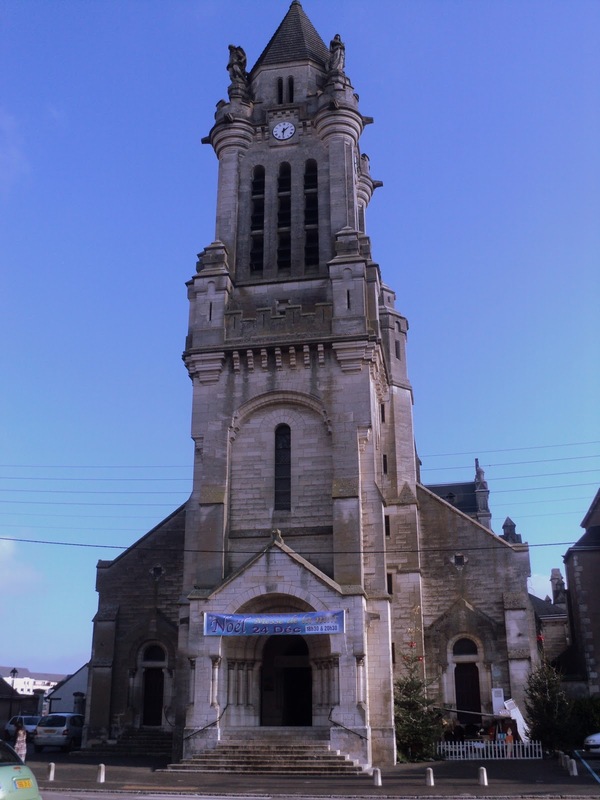 This is the Église Saint Marceau, in the Saint Marceau quartier (district) of Orléans... The banner above the entrance lists that Christmas Eve masses will be held at a reasonable 6:30 and 8:30 p.m... I recall my first Christmas Eve after arriving in France... I was surprised that we were going to an actual midnight mass and that dinner was being served after church!